From the skyscrapers downtown to Ocean Beach on the west end of the city, San Francisco has many different environments to explore. But what do you do when the beach is too cold and you’re tired of Fisherman’s Wharf? The city might have limits, but your travels shouldn’t. A short drive (or ride) from the San Francisco, you’ll find plenty of places that offer breathtaking and unique experiences, such as Tilden Regional Park in Berkeley. 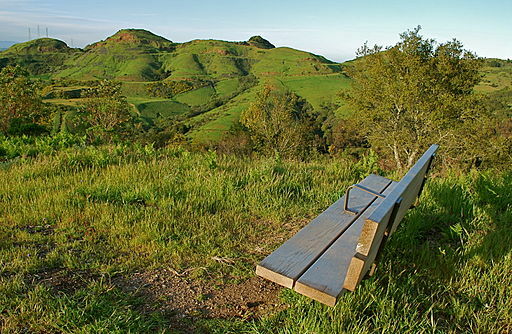 Tilden Park is one of the biggest parks in the East Bay Regional Park District, which includes 65 parks in Alameda and Contra Costa County. The best part? You don’t need a car to get to Tilden! It is only an hour away (and about $11 round trip) by public transit. Just take BART to Downtown Berkeley, and catch the 65 Bus (AC Transit) into the park. Once you arrive, you can ride the carousel, visit a “little farm” where visitors can feed goats, cows, pigs, and other farm animals, take a hike through the woods, and of course, enjoy plenty of fresh air, relaxation, and incredible views of the Bay. When you’re ready to return to civilization, come back down the hill and get a bite to eat at one of the many restaurants and cafes in Berkeley. And of course, your friends!